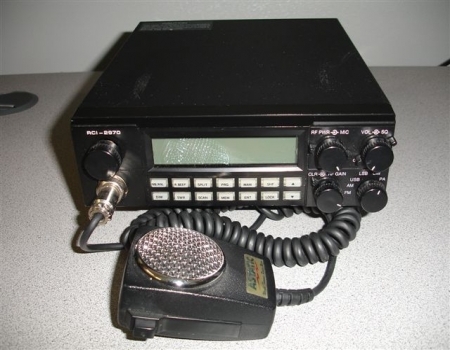 The Ranger 2970 is a dual band 10/12 meter SSB/AM/FM/CW mobile transceiver. 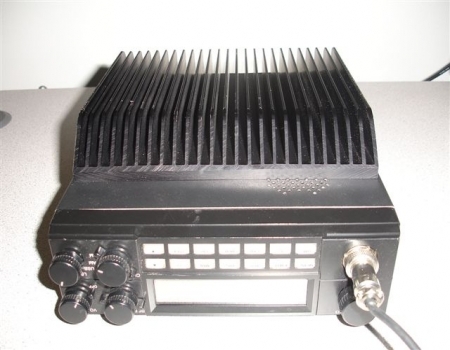 The output of this transceiver is 100 watts at maximum. 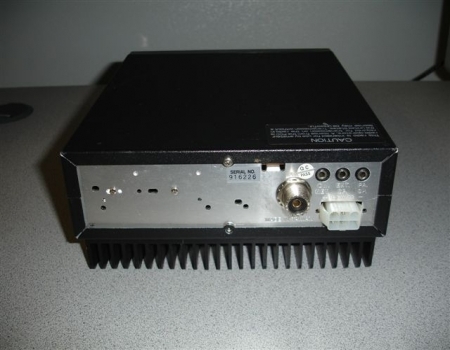 The 2970 has 10 programmable memories and a multi-function LCD which will display not only the frequency but also show S meter readings as well as relative output power and the SWR of the antenna system. The frequency can be selected from either the front panel or microphone push buttons. 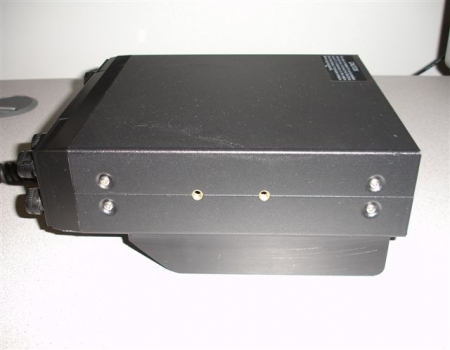 Some of the other features include a roger beep, NB/ANL, Bright/Dim with 4 levels, split, scan, squelch, RF Power Level, Mic Gain, Clarifier and RF gain. The little brother of the 2970 is the Ranger 2950. These next two photographs are to highlight the massive heatsink that is factory installed on the 2970. The size of this heatsink is necessary to cool the two 2SC2290 Silicon NPN transistors. Even though this is a large heatsink, it still will get quite warm under extended periods of operation. These next two photographs were taken with the bottom cover and heatsink removed. 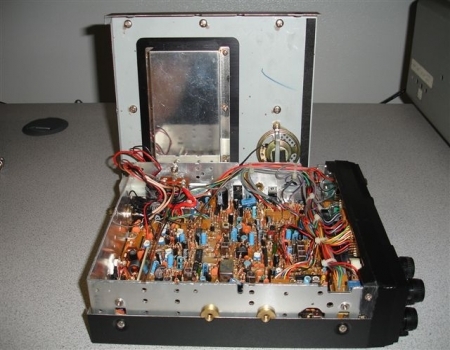 The circuitry of the 2970 is very similar to that of the Ranger 2950. In fact, if it was not for the large heatsink and the model number printed on the front, one could not tell the two apart. 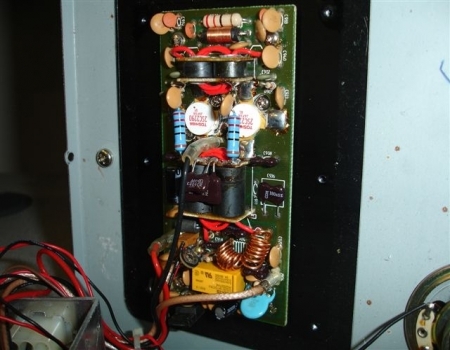 These next two photograph show the RF shield removed from the amplifier section of the 2970. 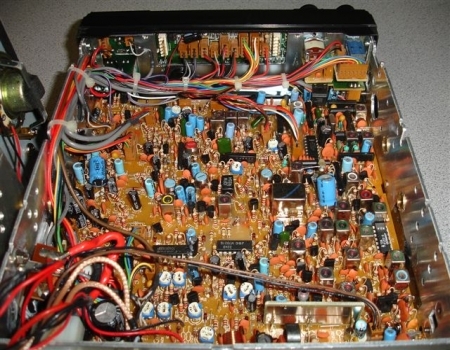 Here we can clearly see the workhorse of this transceiver, the two 2SC2290 Silicon NPN transistors. 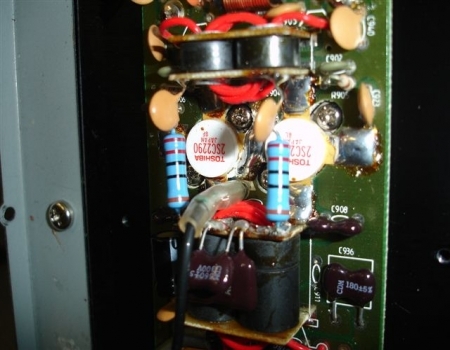 In some circles transistors such as these are called "Pills" and often there is talk of building an amplifier with 24 or more of these items.